2019 Event Dates & Times Coming Soon! Tree Lighting Ceremony, Live Entertainment & Santa’s Grand Entrance make this family friendly event the kick off of Christmas on Canal Street in our beautiful Downtown. 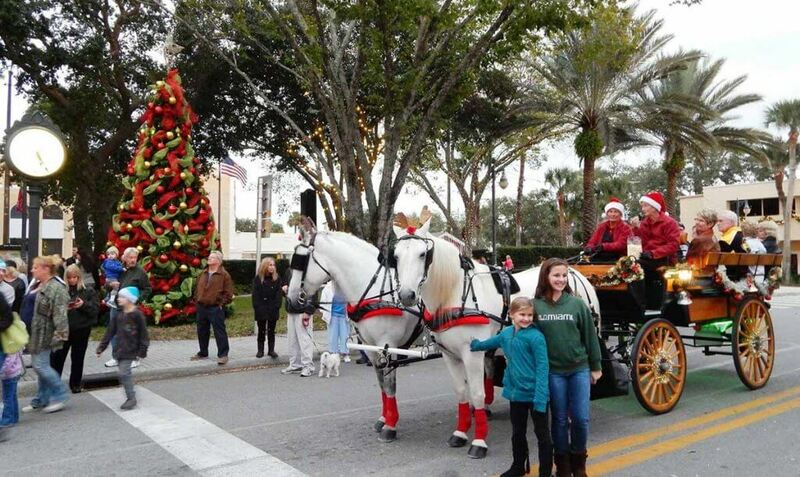 Canal Street Historic District brings the spirit of the holidays to Christmas Park, located at the corner of Live Oak & Canal Street. Stores and Restaurants have extended hours and Canal Street will be closed to accommodate pedestrians. Stop in and visit Santa’s Work Hub and watch the childrens’ eyes light up when they see the sparkling decorations and Santa too! There may also be a special surprise to get you into the “winter” spirit! Enjoy a wide variety of beautiful gifts and holiday decor handcrafted by local artisans. Our merchants will welcome you into their shops for a look at the treasures available all year long on Canal Street. Support local charities and schools by purchasing their baked goods and other items. Bring the kids and enjoy a fun day on Canal Street. Support Local Charities & Schools Unique Gifts for everyone on your list! 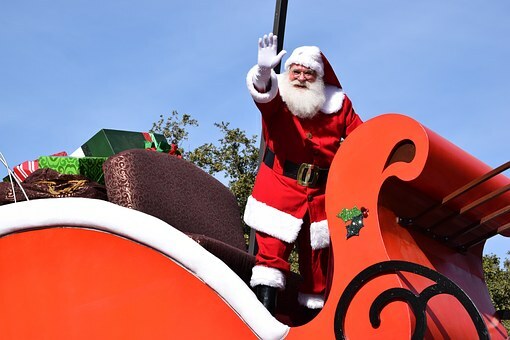 Sponsored by The City of New Smyrna Beach, the Annual Christmas Parade will begin at the intersection of Flagler Ave. and South Atlantic. 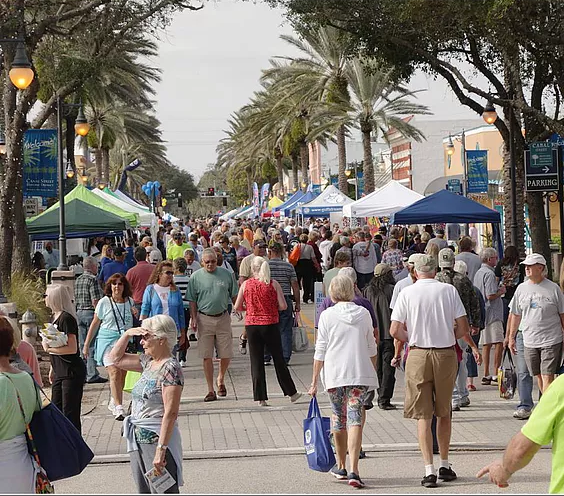 It will travel west along Flagler Avenue and the North Causeway, south on Riverside Drive and will turn west on Canal Street and will end at Orange Street. Gather your girls, then get ready to Sip & Shop the night away! 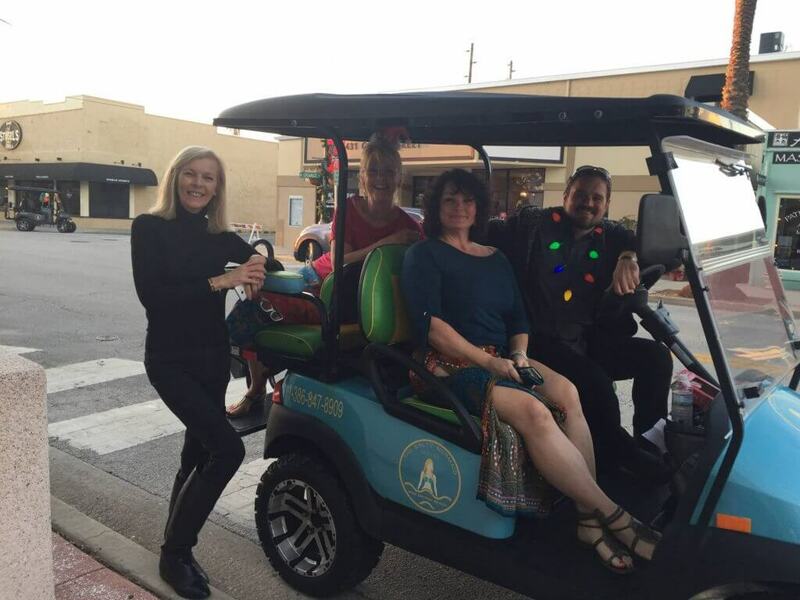 Head out on the town for a night of shopping, wining and dining. You do not want to miss out on this epic night! 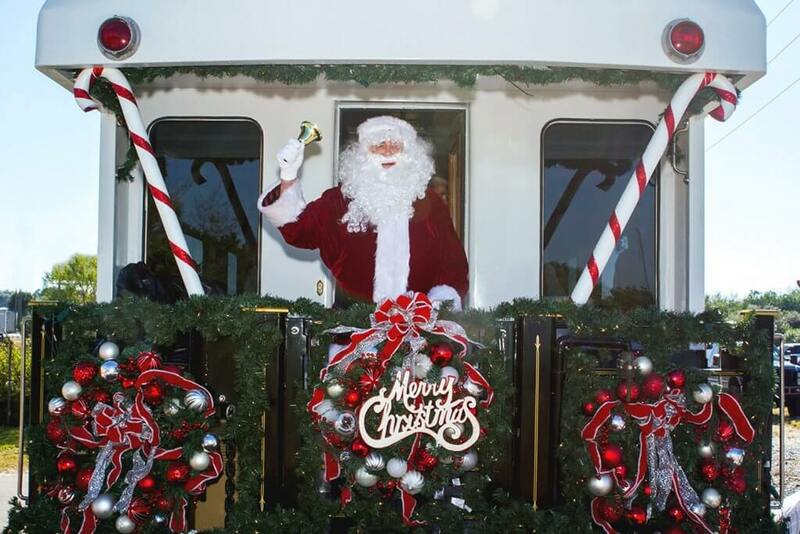 Santa makes a surprise visit for good boys and girls when the Florida East Coast (FEC) Railway’s Christmas Train comes to town. The FEC Christmas Train is run in coordination with the U.S. Marine Corps Toys for Tots Foundation and travels from Jacksonville to Miami. Santa Claus will be spreading holiday cheer from the decorated, historic FEC passenger cars. US Marine Corps service members will be at each stop along the route to greet Santa and his FEC elves. It is a beloved tradition among FEC employees, their families, customers, suppliers and the communities in which they serve. 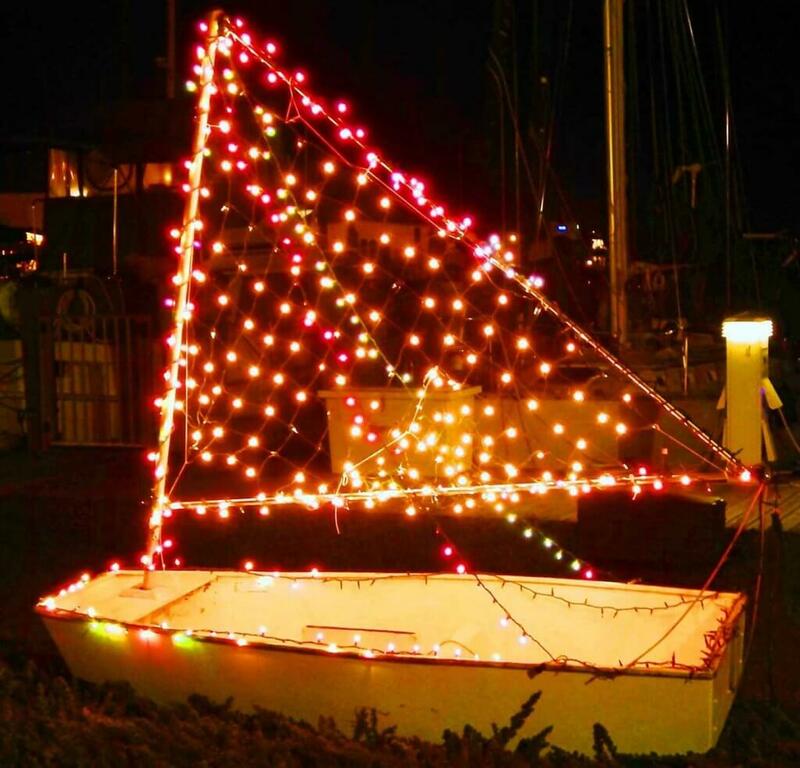 New Smyrna’s Holiday Boat Parade travels along the Intercoastal Waterway in New Smyrna Beach and Edgewater, delighting visitors and residents alike. This is a FREE, self-guided tour featuring 5 unique settings. 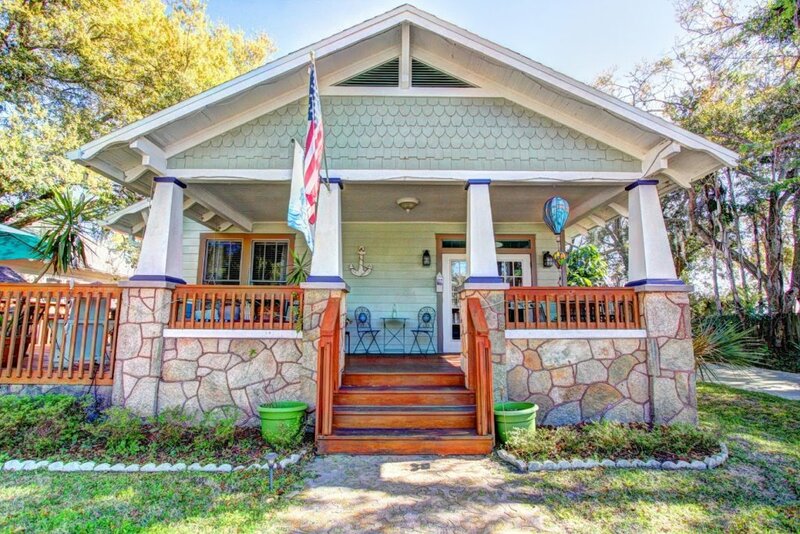 The host B&B’s are on both the mainland and beachside of New Smyrna Beach. Maps will be available at each location listed below, so visitors may choose their own journey from one to another. What a wonderful way to spend a Sunday afternoon in our very special city!